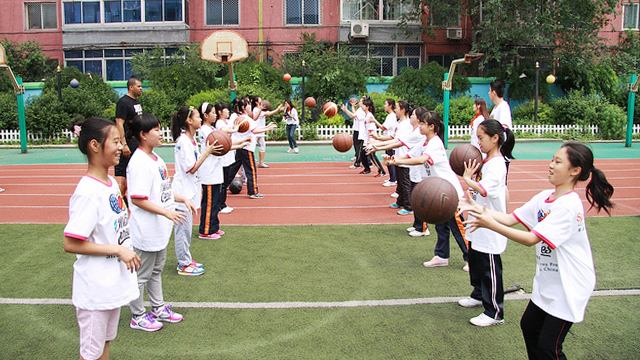 Kiesha Brown teaches ball handling to the girls from Shenhe Migrant Workers Elementary School in China. 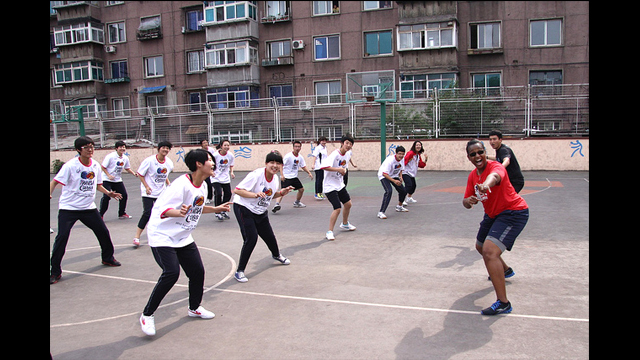 Kiesha Brown dribbles with the girls from Baode Junior High School in China. Kiesha Brown cheers on the two remaining competitors in a dribbling contest. 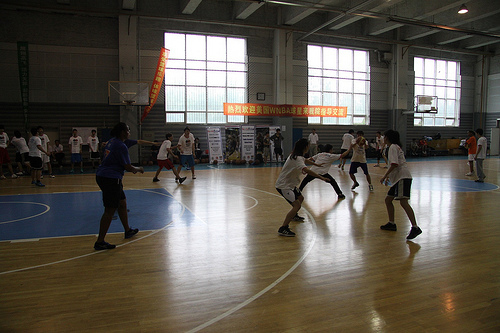 Kiesha Brown does dribble drills with the girls from Baode Junior High School in China. 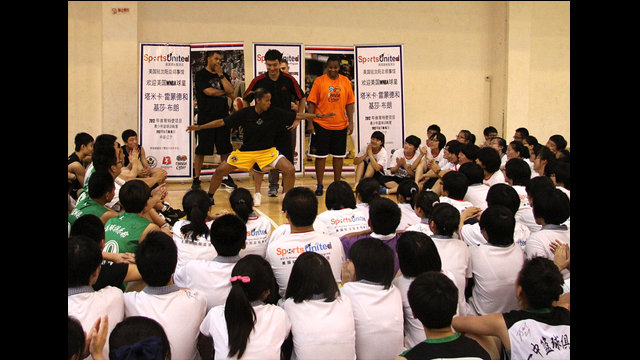 Tamika Raymond runs defense drills with the students from Benxi No. 1 High School in China. Tamika Raymond and Kiesha Brown speak on injury prevention with the girls basketball team at Baode Junior High School in China. 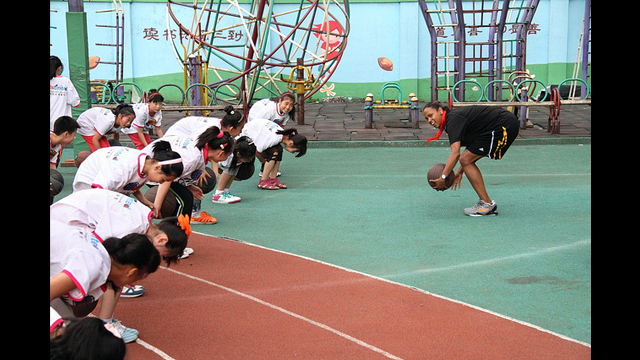 Tamika Raymond’s husband, Ben Raymond, teaches passing drills to girls from the Shenhe Migrant Workers Elementary School in China. 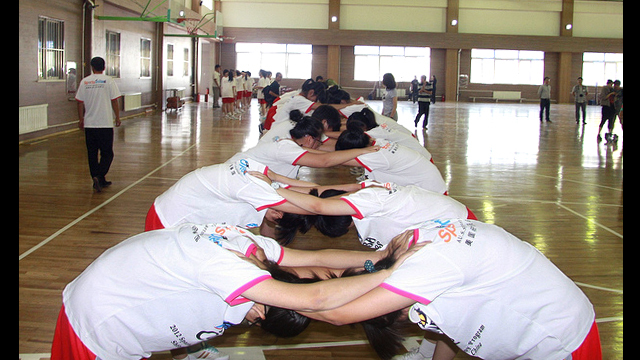 The girls warm up for a clinic at Guangquan Rural School in China. Kiesha Brown demonstrates a blocking pose for students during a Q&A session. Tamika Raymond practices defensive sliding skills with the girls from Anshan No. 3 High School in China. Tamika Williams “high fives” new friends at the Shenhe Migrant Workers Elementary School in China. The girls do more basketball dribbling techniques with Kiesha Brown. 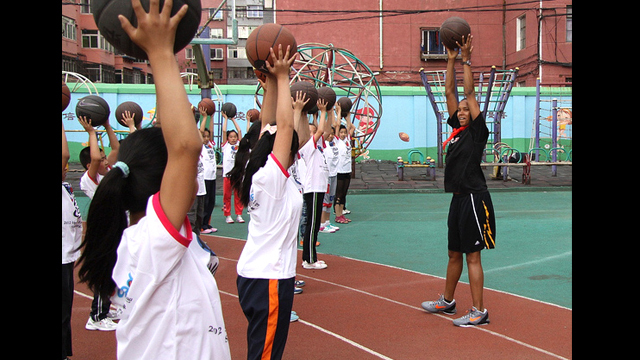 Kiesha Brown leads a shooting drill with girls from the Shenhe Migrant Workers Elementary School in China. 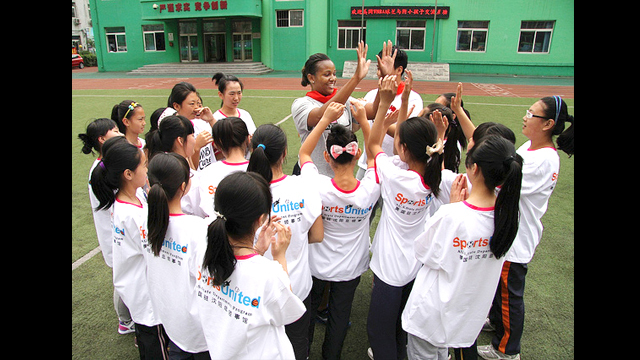 Tamika Raymond teaches girls at Shenyang Physical Education College in China. Working with the Women’s National Basketball Association, the U.S. Department of State sent former WNBA stars Tamika Raymond and Kiesha Brown to Shenyang, China. 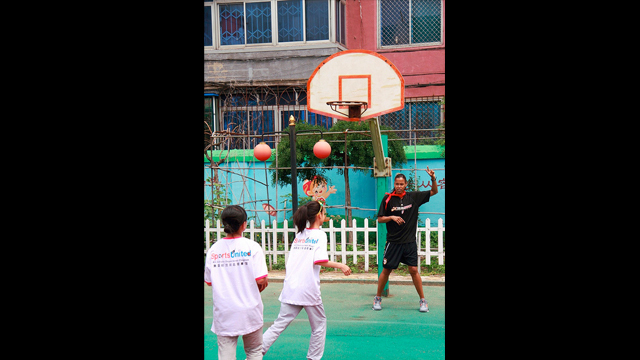 These American athletes led basketball clinics and engaged in dialogue with girls from underserved areas. They promoted the importance of health and wellness, leadership and teamwork, and use of basketball as a universal language. The envoys also described how Title IX has helped empower a new generation of American women and girls through sports. Photo Credit to the Consulate General of the U.S. in Shenyang, China.